8/5-6/11 It was a nice weekend. On Friday at noon we drove off in a rental car to Cottage Grove Oregon. That is about 120 miles south, just past Eugene. The rental car was because my thirty year old Chevy pickup is noisy on freeways and gets mediocre gas mileage. In Cottage Grove we took part in Buster Keaton Days. That is because 85 years ago Buster hung out there for several months shooting the masterpiece film The General. The town is also cinematically famous for having scenes shot there for Animal House and Stand By Me. On the opening night of Friday we got acquainted with our host and other guests and attendees. Most of them were from distant ports and all belonged to the Keaton appreciation group The Damfinos. Several of them wore Pork Pie Hats. There was a screening of Buster Keaton sound shorts and commercials. The shorts were Grand Slam Opera (1936), Pest From the West (1939) and Nothing But Pleasure (1940). The ads were for Alka Seltzer and Simon Pure Beer. 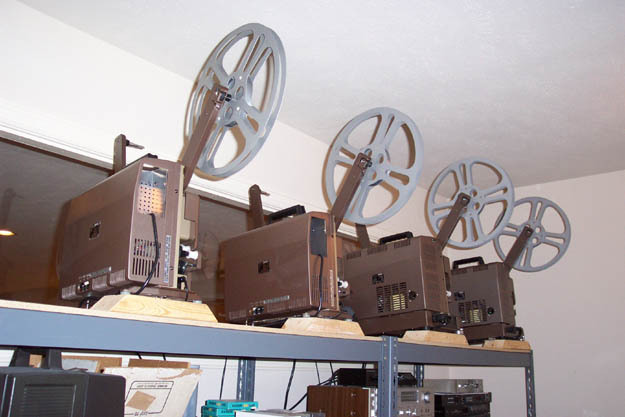 All were shown on the newest possible, probably twenty year old, EIKI projectors. One autoload and two slot loads. and the baseball field where Buster played. 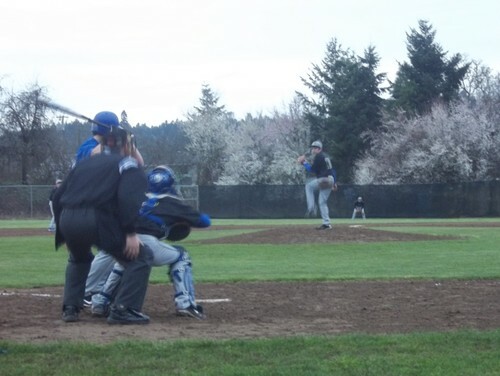 It is a nice field not just a raised pitcher’s mound, but also a mound in foul territory for pitchers to use when warming up during a game. Buster played baseball every chance he could. A lot of those times were because the sky was wrong for shooting. It was explained he had a wonderful memory for composition and since things weren’t shot in order, or entirety, he would have to remember how the sky looked when a previous shooting stopped so things would match in the editing. If there were too many clouds he would take a break to play ball. 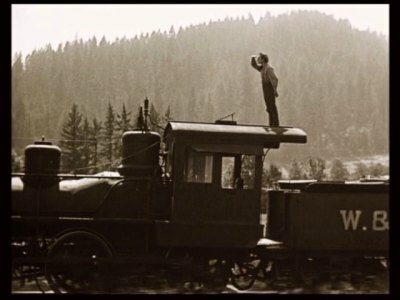 The climax of the film involved a steam locomotive crashing through a high trestle and falling into the river below. It was cheaper to build a trestle than to destroy and re-build one currently in use. Buster had to build a spur rail line off the main line, and the trestle, for the shot. Apparently all the town showed up to see it. After the film crew left town the trestle was eventually disassembled to reclaim the wood. The engine lay in the river for nearly twenty years until it was cut up and scrapped for the war effort. Now nothing remains. It was still fun to go to the site and try to envision just where the trestle had been. That night when they showed The General it was more fun to recognize things we had seen on the screen. To get from the road to down to the river was semi-arduous. I am sure you have guessed as a group there was a lot of grey hair among us, as is with most people who really care about this stuff now. One guy, a sturdy fellow of around my age, took a tumble on the way down and luckily stopped before he tumbled very far. He was unhurt and after a short rest made it to the bottom at the riverside. A few of the group stopped about half-way down and watched from a promontory. This is the tenth year of honoring Buster here, although just the third, every five years, of a large event. I would guess they’ll have to improve the trail down to the river or else we might be the last one’s taken down there. That is sort of a two edged sword. It would be cheap to sink a few posts and install a hand line for people to hold onto on the way down. That would probably be resisted by people who like the place and want to keep it exclusive. It could also be the first step in taking it from a mostly natural place toward a paved and accessible less natural place. The whole shebang was run by Lloyd Williams and was under the auspices of the Cottage Grove Historical Society. When I said it appeared the whole town showed up to see the train crash into the river in 1926 that is because just about everyone in our group that was from the area said they had a relative who saw it. Of course that might have been a reason they were part of our group. Also in Cottage Grove on the weekend was a fly in of vintage airplanes to the little airport just across the road the from our hotel. The airport has a museum operated by the Oregon Historical Aviation Society. I was in the museum talking to a guy who was a museum volunteer who told me his dad saw the train crash into the river. Being in the museum made me think of Ash Bridgham. I took projectionist lessons from Ash, which was short for either Ashleigh or Ashley, as in Ashley Wilkes, when he worked at the Duwamish Drive-in. He had entered I.A.T.S.E Motion Picture Operators # 154 in 1928. He had also been a pioneer aviator and was a member of the OX-5 club. That club is for those who had flown planes with OX-5 engines. They were used in the Curtis JN-4 airplane, commonly called a Jenny. After WW I thousands of the surplus engines were sold that were put in all manner of planes and also some boats. They were V-8 water cooled and didn’t produce much power. Their main attraction was low cost. A brand new one could be bought for twenty bucks. In the photo below Ash is on the left. Sid Phillips is in the middle with Ed Hird on the right. The event was the presentation to Ash of a fifty year award in 154. I returned the rental car at nine in the night on Sunday. I found a note on my truck that had been parked in a bedrock legal place on a nearby side street for sixty hours. It contained printing on a piece of small notebook paper and said parking was limited to property owners and if I parked there again I would be towed. It was signed “28th Avenue Property Owners.” Aha, a vigilante group! Nice to know Portland is still part of the wild west. Sorry I had to miss this but it was a toss up between the Bix Beiderbecke Fest in Davenport. I’ve made the pilgrimage to CG but couldn’t find the General site! Bridget, thanks for reading. I hope the Bix event was enjoyable. A couple of times in driving across the US I stopped in Davenport to drive by Bix’s house and visit his grave, so I understand fully the choice. 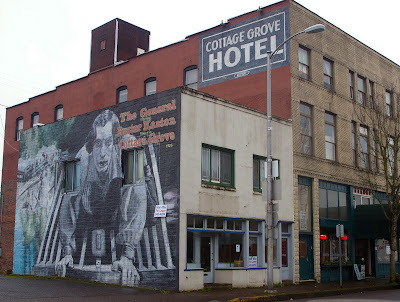 In Cottage Grove you probably would need help in finding the river site. Lloyd Williams would probably make you a map. Taking something down there where you could watch the scene in the film would help in picturing things as there really is nothing left of the trestle. Also, the viewpoint that you arrive at from trail down from the road is from the reverse angle of most of the shots in the movie. It is still well worth going there.